NASHVILLE, Tenn. As baseball's new Mr. Moneybags, Ned Colletti gets mentioned when almost any free agent is discussed this offseason. "There's a perception that we're in on a couple dozen starting pitchers, three dozen outfielders and infielders, 17, 18 catchers," the Los Angeles Dodgers general manager said. "People like to have us in. I guess it doesn't hurt to have us in, even though we're not in. We may have to hire somebody next year just to tell everybody who we're not in on," he said. As teams headed home from the winter meetings Thursday, the biggest free agents were still on the market. 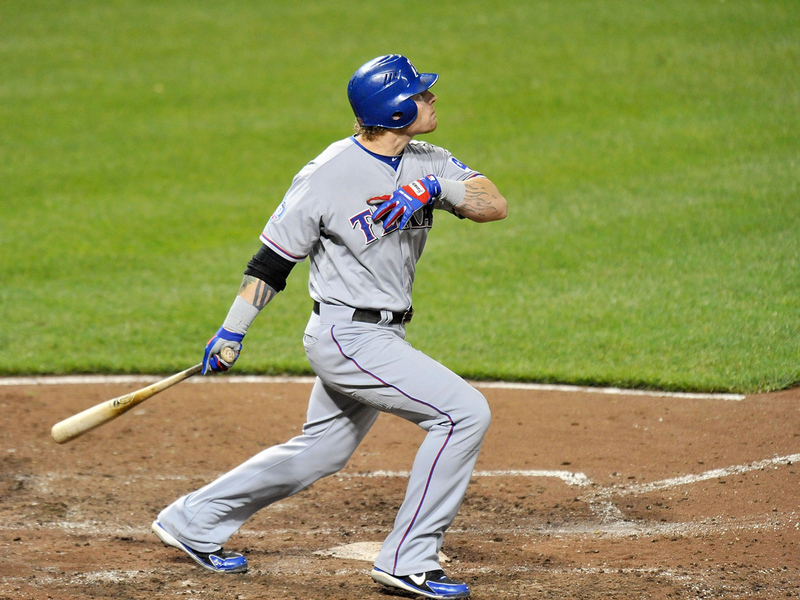 The availability of slugger Josh Hamilton and pitcher Zack Greinke held up decisions on other signings and possible trades involving on Rangers star Michael Young and the Mets' Cy Young Award winner R.A. Dickey. The Yankees, quiet thus far, were pursuing former Boston star Kevin Youkilis and also met with the agent for Mark Reynolds. With most clubs already packed up and leaving the sprawling, 2,881-room Opryland hotel, Philadelphia acquired outfielder Ben Revere from Minnesota for right-handers Vance Worley and Trevor May. CBSSports.com's Danny Knobler reports that Twins prospect Aaron Hicks is "in the mix" to replace Revere in the Minnesota outfield. The Twins also recently dealt center fielder Denard Span to the Nationals. Hamilton could remain with Texas, and Seattle seemed to be interested. Greinke's options include staying with the Los Angeles Angels, moving up the coast to the Dodgers or signing with the Rangers. Mariners general manager Jack Zduriencik said that after taking in information from other clubs and agents, it was time to return home and "cool your jets." "There can be a domino affect," he said. "I think when clubs are focusing on a certain position, a certain need, there's options out there. And once one option goes away, then that changes the landscape of what a club would want to do. Everybody's got their ducks lined up in a row, and it's just a matter of how things fall. And there's timing involved." The annual meeting wasn't much of a swap session. The Phillies-Twins deal was just the fourth trade over the four days. Atlanta announced a one-year deal with outfielder Reed Johnson on Thursday, and Texas said reliever Koji Uehara had reached an agreement with Boston. But the 25-foot wide dais with a podium backed by MLB logos was used just three times: Yankees general manager Brian Cashman discussed Alex Rodriguez's hip injury; Major League Baseball announced an auction benefiting Stand Up to Cancer; and the Mets talked about David Wright's $138 million, eight-year contract, which had been agreed to last week. The Yankees have been quiet, watching as catcher Russell Martin agreed with Pittsburgh last week and backup third baseman Eric Chavez went to Arizona during the meetings. Wanting to get under the $189 million luxury tax threshold in 2014, the Yankees are being cautious. Still, Cashman maintained it hasn't been a rough week for him. "Because I don't read the papers as much as I used to," he said. "This year's marketplace, it might be strong in terms of the dollars being thrown around, but I don't think it's a strong market in terms of the available talent." As the meetings ended, Cashman had made a $12 million offer to Youkilis, who would play third base while A-Rod recovers. The Phillies were trying to obtain Young, the infielder who has been with the Rangers for his entire 13-season career and would have to approve a trade. Arizona was listening to offers for outfielder Justin Upton. "It seems like when people leave the winter meetings, there's a bit of a quiet period," Red Sox GM Ben Cherington said. "People kind of get out of the frenzy, maybe take a step back and realize that maybe something they were talking about isn't such a good idea. Sometimes things get close and never end up happening." For all the talk, the Dodgers have made only one big move since the end of the season, re-signing closer Brandon League. But they've been quite busy over 2012. After they were bought in May for $2 billion by a group headed by Mark Walter and Stan Kasten, Los Angeles added stars Hanley Ramirez, Adrian Gonzalez, Carl Crawford and Josh Beckett. The Dodgers face a Sunday deadline to reach a deal with South Korean pitcher Ryu Hyun-Jin, whose rights they gained for a $25.7 million bid. Quite different from the days under the previous owner, Frank McCourt. "You couldn't get an agent to return a phone call," Colletti said. "Now you've got them lined out the door." Texas GM Jon Daniels was popular, too, given his interest in Hamilton and Greinke, and talks involving Upton and a possible a multi-team trade. "It just makes it tougher, more than two clubs," he said, adding he had a variety of trade and free-agent options. "There are a couple of big decisions that are going to impact the direction. We've narrowed it down, but there's still a couple ways we can go. Some of that is up to us, and some of that is up to the guys on the other side of the table." After exploring trades involving Dickey, Mets GM Sandy Alderson said it was possible the team could keep the knuckleballer without a deal for beyond 2013. "I don't think it's necessarily the optimum result, but it's a possible result," he said. Some teams worry about overpaying this early in the offseason. Other clubs conclude they must. "You run into people, like, `Man, I didn't want to do that, but I had no choice,"' Cashman said. "So they're getting a problem solved, but they're not happy with their solution and what they had to do to solve it. I don't want to be in that position. I'd rather feel good about what I'm doing." NOTES: The winter meetings will return to Nashville in 2015, the governing body of the minor leagues announced. Next year's meetings are in Lake Buena Vista, Fla., and the 2014 session is in San Diego.